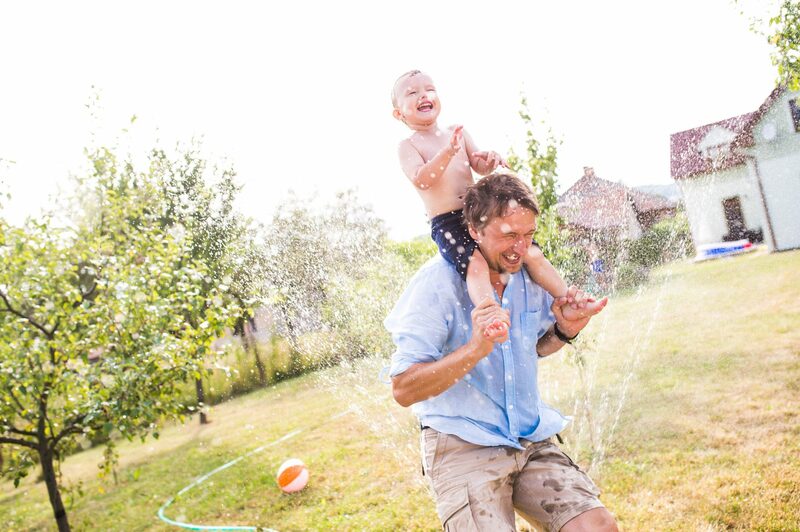 Houseguests, cookouts and water play are some of the season’s best features, but summer can also be a time of plumbing stress. When your washing machine, toilets and sprinklers are working overtime, problems crop up without warning and at the most inconvenient times. These simple steps may help you ward off a summer water emergency—and recover the summer fun. Schedule a sewer line inspection. Tree roots grow aggressively during warm months, and they cause sewer line backups. Picture an overtaxed plumbing system and interior flooding derailing your summer! If you’re experiencing slow indoor drains, routine multi-bathroom clogs, or an odor coming from your drains, call an Elek SuperSTAR to troubleshoot the problem. It’s also wise to schedule seasonal sewer line camera inspections so our plumbing professionals can head off trouble before it starts. As you begin to use your sprinkler system for the year, it’s common to find broken heads, cracked pipes or other sprinkler damage—especially if your system wasn’t properly winterized. Ideally, you should check out each sprinkler station during the spring. If you miss that window, call an irrigation professional to fix pesky sprinkler problems anytime. If you’re a DIY homeowner, print this Rainbird maintenance checklist as a helpful reference for this summer or next. Watch for washing machine leaks. For many families, summer brings extra laundry in the form of dirty play clothes, swim towels and guest linens. Safeguard your home from costly flooding by checking washing machine hoses for leaks and carefully removing coins and other pocket items that could damage the drum. When it’s time to replace an aging hose, consider a braided steel option since it’s more reliable than rubber. Take care of your garbage disposal. After a party or BBQ, it’s tempting to toss scraps, cornhusks or greasy leftovers down the drain. Tough or fibrous foods should be thrown in the trash rather than the disposal. Be choosy about what you put in your garbage disposal, and run high-pressure cold water before and after operation to flush it thoroughly. Keep plungers on hand to deal with overworked toilets. Lots of summer hangout time means more potential for toilet clogs. To prevent this problem, encourage family members to be judicious with toilet paper use and remind them not to flush anything other than TP. When inevitable clogs crop up, have plungers in each bathroom to remedy the problem. Tough clogs and plumbing emergencies are quickly remedied by the Elek Plumbing professionals, on-call 24/7 for your convenience. Need a Lehigh Valley plumber? Elek’s licensed SuperSTARS provide prompt, reliable attention for summer plumbing problems. From kitchen drain problems to sewer line backups, our team works quickly to restore plumbing performance before water damage occurs. And, as always, an ounce of prevention is worth a pound of cure. Your Elek Plumbing Maintenance Agreement helps to anticipate plumbing problems before they ruin your summer. Call 610.432.7001 to become a plumbing maintenance member or request a repair for your clogged toilet, backed-up sink or leaky washing machine. For your convenience, you can also reach us any time of day online.